Life at Eleven on Thornton means the perfect pairing of a superb central location along with elegant and contemporary upgrades. Located just north of Downtown at the corner of the charming brick streets of Marks and Thornton, living here means that you are close to practically everything. With easy access to major thoroughfares such as I-4, SR 408, US 17-92 and SR 50 you are just a short drive away from work, shopping, dining and so much more. 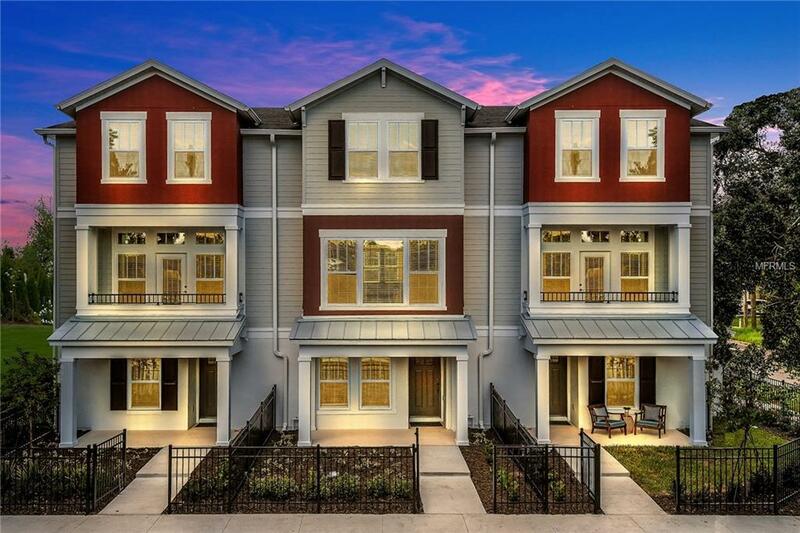 This 3-story townhome features hardwood floors in the entry, downstairs bedroom/study, kitchen, living room and dining room with silver grey carpeting in all bedrooms. The kitchen offers an elegant blend of traditional and contemporary with light cabinets with dramatic gray quartz counters, a designer herringbone backsplash, walk-in pantry and stainless steel appliances. The Master Bath features a step-in shower with designer tile accents and garden tub with gooseneck faucet. The first floor bedroom has an en suite bath and double single-light French doors, making it perfect for use as a study or home office. This open floorplan flows effortlessly from kitchen to dining to the living room, which features a lovely balcony for those peaceful Florida nights. From the gated front walkway to the dual closets in the master bedroom, you will be delighted by the details. This home has it all, including in-wall pest-control, a security system, washer/dryer and 2 white faux wood blinds.